Have bought the puppy in kennel von Bad Boll. Litter from Ober von Bad-Boll and Visa von Bad-Boll. Puppies were very thin, but Hans-Peter Rieker us assured that they normal and that it simply would not feed them that we could see structure of a body. When we have taken away the puppy from it there was a diarrhea. Later he failed a blood test (RABIES). Now to a dog almost 2 years, but till now structure of a body it is those, small bones, flat ribs, small chest and a small head. On show took the last a place. 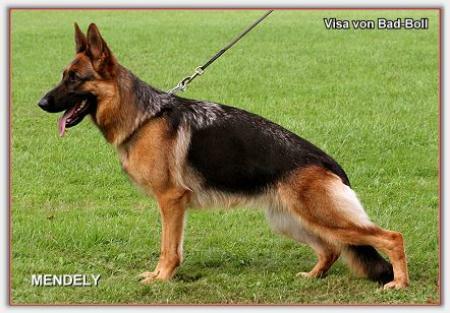 Probably if not breeders name, it would disqualify with show. The some people have told us that Hans-Peter one of the worst dealers of the world. Recently vet.told that the dog is ill at it INSUFFICIENTIA PANCREATICA EXOCRINICA (PANCREES) and he dont know how long he have to live. We even to the enemy would not advise to buy the puppy from Hans-Peter. If you havent got a famous kennel he would never sale you a good puppy.